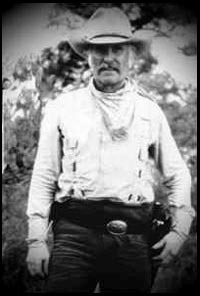 Robert Duvall stared as Gus MacRae in the six-hour miniseries Lonesome Dove. Based on a Pulitzer Prize-winning novel by Larry McMurtry, this movie revitalized Western genres, which had been considered dead for several years. Robert Duvall and Tommy Lee Jones star as fun-loving Gus MacRae and taciturn Woodrow Call, respectively, a pair of longtime friends and former Texas Rangers who crave one last adventure before they bow to their advancing years. Convinced that animals will thrive on the lush grasslands of Montana, Woodrow persuades Gus to undertake the arduous, 3,000-mile cattle drive there. Rounding up over a thousand head from Mexican rustlers south of the border, the men recruit a diverse crew of hands to help them. Storms, hostile natives, poisonous snakes, and rustlers take their toll on the company before Montana is reached in an adventure that is equal parts Greek tragedy and classic, John Ford-style oater. Originally developed in the 1970s as a script by McMurtry for director Peter Bogdanovich and stars Henry Fonda, John Wayne, and James Stewart, Lonesome Dove earned 18 Emmy nominations and inspired a pair of miniseries sequels, as well as two attempts at an ongoing television series.